In this review, I’ll be taking a look at one of the major players in the POS industry for restaurants — TouchBistro. If you’re running a small business, it’s easy to forget about the importance of a point of sale (POS) system. With so many operational worries on your mind, you may never consider the importance of the platform you use to process transactions. If it’s been years since you’ve used a new POS platform, there’s a high chance that you’re missing out on some serious benefits. Does this unique platform have what it takes to improve your business’s operations? Let’s take a look! 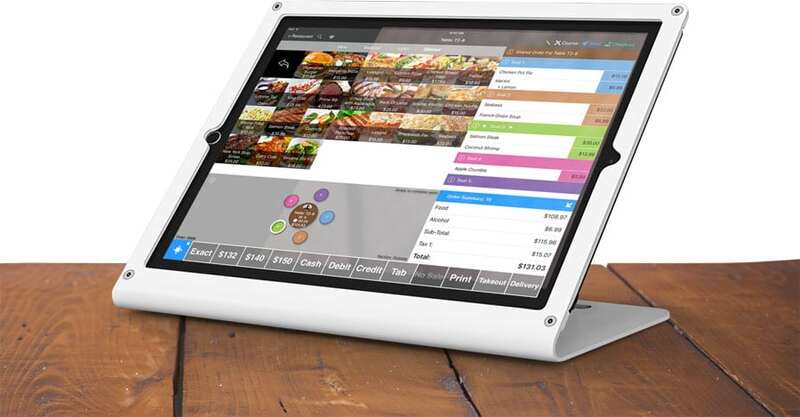 TouchBistro is a hybrid iPad-based point of sale system for restaurants of all sizes and types. The system runs on Apple iPads and provides restauranteurs with a wide range of features to run their business better than ever. These features include staff management, menu building, reservation management, inventory management, in-depth reporting, tableside ordering, and much more. Something that makes TouchBistro so unique is its dedication to the hospitality industry. 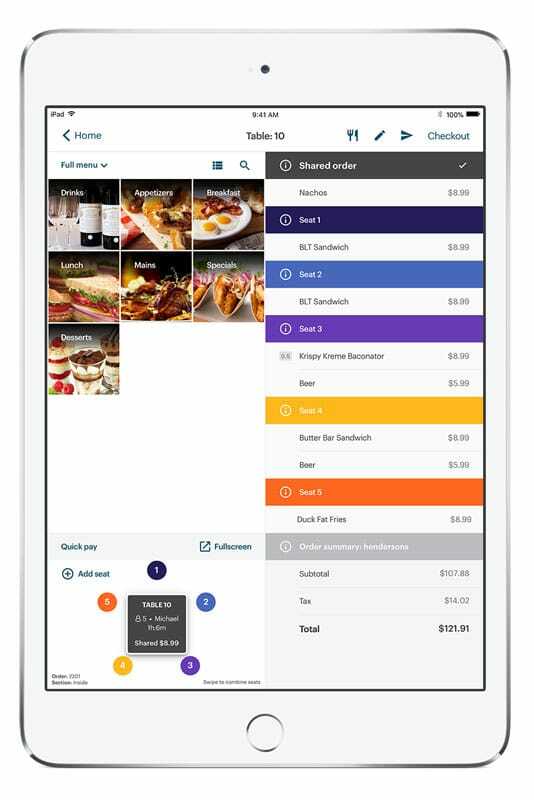 TouchBistro touts to be built for restaurant people by restaurant people. 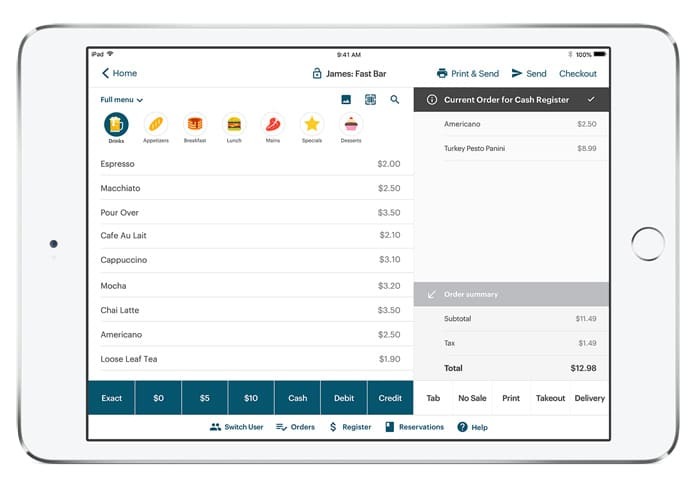 Unlike many POS systems which have a focus across multiple niches, TouchBistro provides exclusive services to restaurants and other food and beverage establishments. Touch Bistro first began operations in 2010. Since then, it has made a name for itself in the POS industry and now has offices and provides services in the USA, Canada, United Kingdom, and Mexico. The product has won multiple awards, including a LinkedIn Award for Top Startups in Canada and the Red Herring Top 100 Global Award in 2018, amongst many others. In a hurry and don’t have time to read reviews? 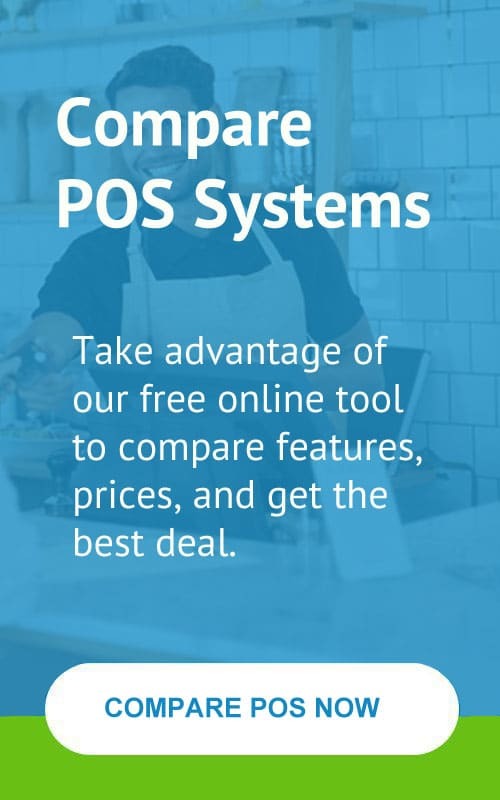 Visit our page to compare the top restaurant POS systems in a few easy steps. Answer a few simple questions, and we’ll present the best option(s) for your business with the combination of being the perfect solution and affordable based on your business needs. Or do you want to look at additional options? Visit our Top 25 list here. Let’s continue with the review and take a closer look at the details! It’s hard to look at a POS system before you know the price. It’s important to know if the platform is within your budget range before you take part in demos or sales meetings. TouchBistro offers different pricing depending on the number of terminals that you need. It also provides different price points depending on whether you’re bringing your hardware or want it included. Let’s take a look at the pricing structure and see how much it costs. Each software license is equal to one register. There are no contractual obligations. These packages are billed annually, so the bigger the software and hardware bundles, the more money it’s going to cost upfront. While the cost for Touch Bistro might seem relatively high, it’s very competitive to other point-of-sale system prices on the market. It’s also a good value for money when you consider the number of terminals and locations you have access to with each package. The company does an excellent job of providing different price points dependent on the number of POS systems that you need. What about the installation of the hardware? Their support team is available during the initial setup and with scheduled sessions after that to help with configuring your equipment correctly. Alternatively, they offer premium configuration services for a fee that is customized based on your specific requirements and venue type. You can get a free demo of TouchBistro before you make a purchasing commitment, which we highly recommend with all systems. Complete menu management – Quickly build menus, send orders to the kitchen, and make on-the-fly changes to tickets to ensure your customers get what they ordered. Inventory management – Helps you keep track of items and prevent menu shortages — this helps prevent disappointment from running out of products. Loyalty program – Allows you to communicate with customers, build customer profiles, issue award points, and create purchasing incentives. Customer relationship management – Tools to gain insights into your customers to help provide personalized customer service and drive marketing opportunities. Full reporting system – Allows you to access your sales data and employee information remotely – this is an excellent way to keep your finger on your business’s pulse. It can help you improve your approach to business and increase sales. Tableside ordering – Provides staff members with the ability to input orders directly from the side of the customers’ table – this can increase the speed of service and prevent costly mistakes. Floor plan & table management – You can build your restaurant’s floor plan within your app to manage reservations and orders – this helps to prevent confusion for staff and increase efficiency both in the kitchen and on the floor. Staff management & scheduling – Manage employee hours, as well as track staff performance. Printer configuration – You can print or email receipts to customers, which can help cut down on waste. Tabs and order management – Set up tabs and split orders effortlessly through the platform. Multiple integrated payment processors – Bring your processor to accept all payment types wherever you are. 24/7/365 support – Dedicated specialists with knowledge of the industry available all the time. Free integrated remote support and daily backups. As you can see, there are plenty of features on offer with the TouchBistro POS solution. And this is just the tip of the iceberg — you can spend days searching through all the different components (over 200) this service has to offer. Almost all tablet-based POS solutions are “Cloud-based”, meaning they literally run off of the Cloud via your Internet connection. TouchBistro is unique in that it is a hybrid; while it does use the Cloud, it does not fundamentally run off of the Cloud and Internet connection – thus making it more stable. For this reason, TouchBistro doesn’t have an “offline mode”, quite simply because it doesn’t need one. All features are designed to work seamlessly without an Internet connection. As you can probably tell by the name, TouchBistro is meant for the restaurant and hospitality industry. 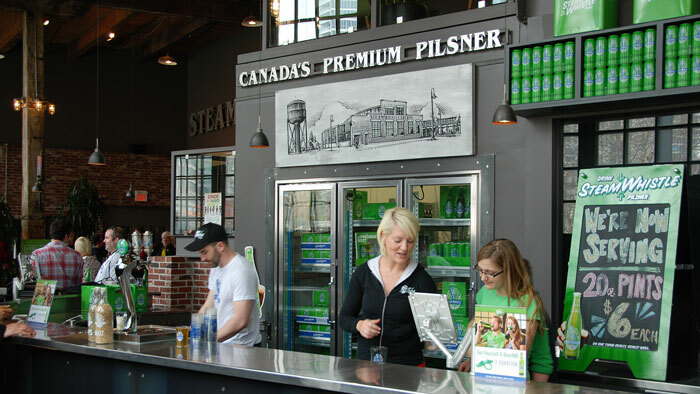 While it’s mainly suited for restaurants, the additional platform categories allow you to use it for quick service, fast casual, bars, clubs, food trucks, cafes, and breweries. As you can see, this isn’t a suitable POS system for retailers or eCommerce businesses. In terms of business size, most of TouchBistro’s clientele are small to mid-sized hospitality businesses, and it is not necessarily geared towards large multi-unit chains. There is other software that is better suited for national chains. The platform’s features and price packages will make it easy to scale to a larger sized company. It’s safe to say this is a POS option that is suitable for businesses of many types and sizes! One of my favorite features about TouchBistro is how easy it is to use. The App user interface is very modern, intuitive, and simple to navigate. Instead of dealing with a complex system that takes days or weeks to adapt to, you can quickly figure out how to use the software effectively – this can help you save time and money when it comes to training new staff. You can design your menus and restaurant interface to suit the intuitive processes that you need to run your business for speed and efficiency. Having worked with other iPad POS systems, they’re not all created equal. In terms of ease-of-use, TouchBistro shines, and this is one of the most valuable components of the service. 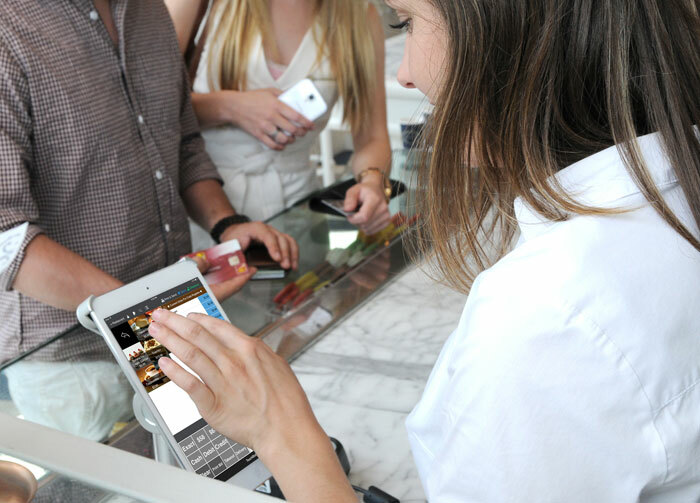 TouchBistro is an app that runs on an Apple iPad and works as a mobile point of sale (mPOS) – this is the hardware platform of choice for many modern business owners, but it does leave you without the option to use Android or any other devices. Still, if you have an iPad, or you’re willing to invest in one, it’s a robust and reliable hardware platform that can handle all of TouchBistro’s features. You can also integrate the system with a range of different printers and cash registers. As an Apple partner, Touch Bistro can provide you with all the hardware you need, or you can purchase them independently. I recommend obtaining all your hardware and software from your vendor, so you always get the latest equipment that is compatible with the software. If you try to piece hardware together to save a few bucks, you risk spending a lot of time troubleshooting issues when everything doesn’t work together. While TouchBistro doesn’t offer as many of the same integrations as some competitors, it does have what you need to build a fully functioning platform. For accounting purposes, you can integrate with both QuickBooks and Xero. On top of this, you can integrate TouchBistro with 7Shifts, Square, Shogo, and JUST EAT. Unfortunately, there aren’t way too many takeaway integration options currently available. Also, as previously mentioned, it has its in-house loyalty program that you can use to create loyalty schemes for your customers – this is an excellent feature that can help you improve your brand’s reach. You can fully customize the loyalty program to suit your business’s needs. It’s worth noting that TouchBistro does have a “gateway” option that allows them to connect into any processing solution, although this means there’s a middle man that will lead to additional costs. Luckily there are some big names that they connect into directly to reduce that cost. If you need to get in touch with your POS provider, it’s essential that you have access any time of day. Unfortunately, many POS companies don’t offer long support hours — this can be an issue if you’re running a venue or restaurant that is open late into the night. Fortunately, TouchBistro does offer its clients 24/7/365 customer support. The company also has an excellent online database of information that can help you solve common problems or search for issues related to your point-of-sale system. It’s incredibly comprehensive, so this is indeed a positive feature. They are also very active on social media including Facebook and Twitter where you can find useful information and videos about the product. TouchBistro has an A+ rating on the Better Business Bureau. But as with most large companies, there are some negative comments about the business online. Many of these negative comments revolve around long waiting times and inconsistent customer service. However, you’re not going to find customer service that is one hundred percent perfect all the time. But this isn’t an issue related to the platform itself. As you can probably tell, TouchBistro is by and large one of the most popular POS systems for restaurants on the market. With its range of features and credit card processing options, you’ll be able to scale this system to fit businesses of any size. Its hyper-focus on the restaurant niche ensures it has the solutions you need to improve your current operations. With a subscription-based payment model that’s billed annually, it’s very cost-effective when compared to other top POS solutions, especially if you go with the hardware and software bundle. The more terminals you require, the steeper the upfront costs. However, the overall cost is still going to be less expensive than purchasing the “traditional” terminal based point of sale where you have to buy software licenses and a lot of large bulky hardware. 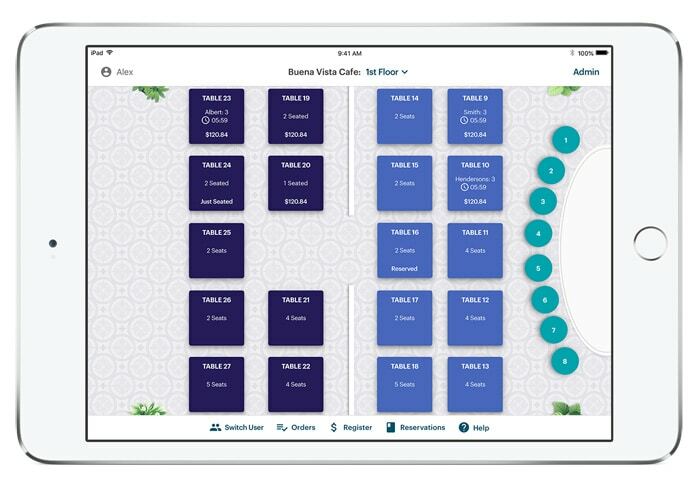 If you decide to work with Touch Bistro, you’ll benefit from a feature-rich iPad-based system with ongoing software updates included and 24/7 support. While its current integration limits do restrict you to a few add-ons, the rest of the service is perfect for both new and seasoned business owners. Keep in mind: TouchBistro offers free demos of its platform if you want to try out its system before you make any commitments. It’s an excellent way to get a feel for the platform before you hand over any money!